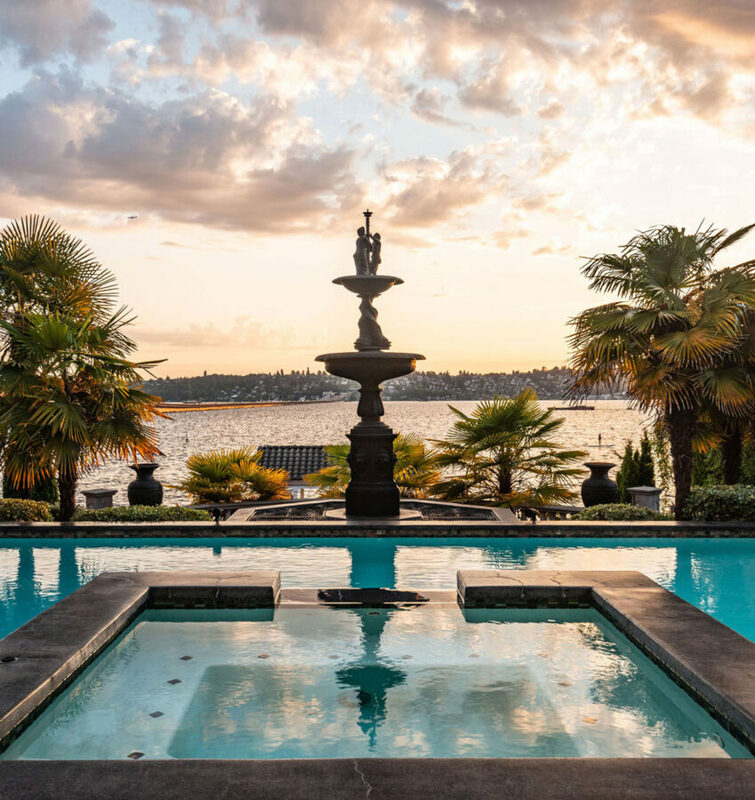 Dramatically sited on the western shore of coveted Faben Point, this Mercer Island mediterranean estate was subtly redefined in 2015 by Schoener. 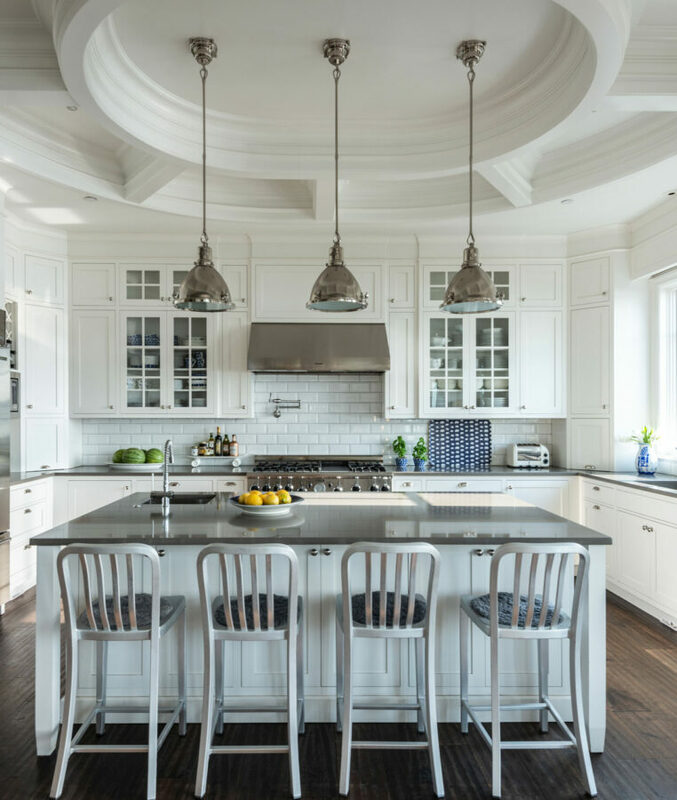 Customized elegance with exceptionally appointed living spaces and thoughtful upgrades on all levels. Grand outdoor presence in harmony with the main residence including 110 feet of lakefront, enclosed cabana, heated pool with hot tub, private beach, dock and guest house. 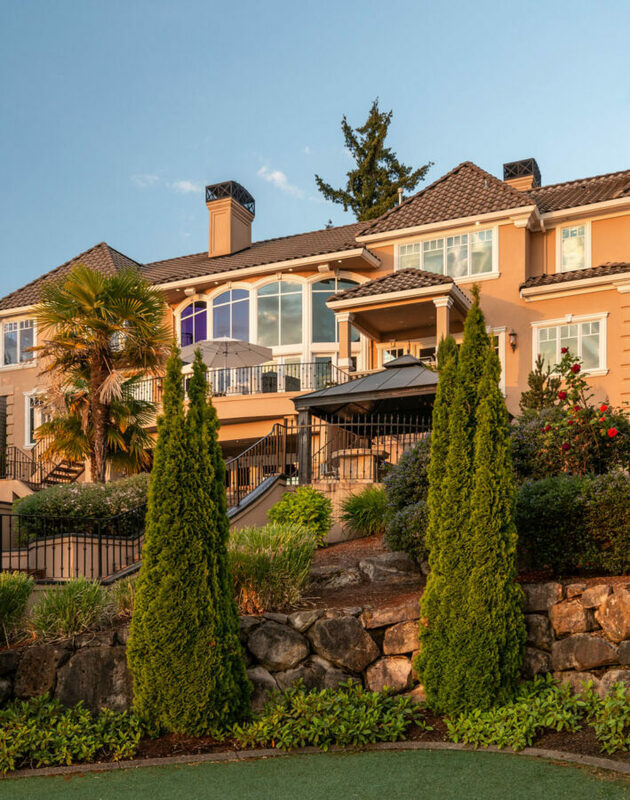 Comfortably neighboring the I-90 bridge, this waterfront property boasts unobstructed western facing views of Lake Washington and the Seattle cityscape. The formal drive, with its stone fountain and brick paving, provides an elegant platform from which to access the newly installed putting green and the 677 sq ft adjacent guest house. A heated pool and hot tub center the space under a sculptural fountain. Tiered landscaping softens the descent to the lake with a foot path to a private beach area encompassing 110 ft of private waterfront. A boathouse and dock, capable of storing a 76-foot craft, lay just beyond the sandy shoreline. Landscaped for privacy, pleasure and convenience, the property is illuminated for entertaining into the evening hours.